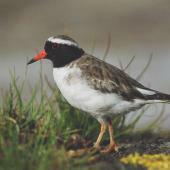 The shore plover is a small, colourful shorebird currently found only on a few predator-free islands in the Chatham Islands and around mainland New Zealand. 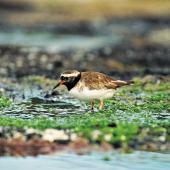 It is one of the world’s rarest shorebirds, with a global population in early 2016 of about 175 adults (including about 70 breeding pairs). 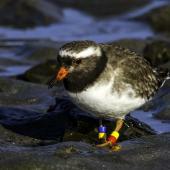 Intensive management has gradually reduced the risk of extinction; birds now breed at four sites in the wild, but have proved very vulnerable to predator incursions. 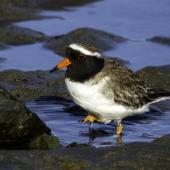 The shore plover’s only congener is the hooded plover T. rubricollis of Australia. 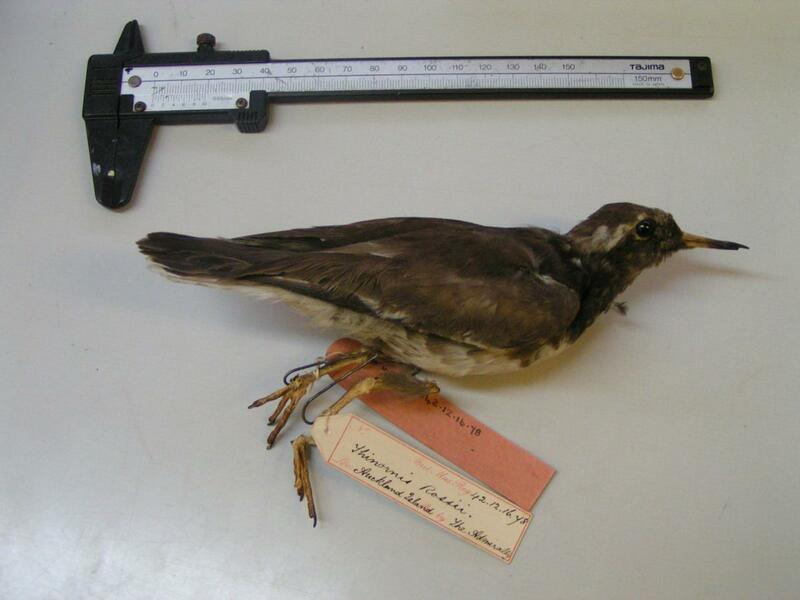 Another species described as T. rossii from the Auckland Islands in the 19th century is generally believed to be a juvenile T. novaeseelandiae, with collection locality recorded incorrectly. 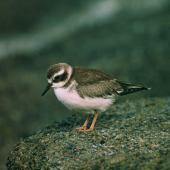 The shore plover is a small stocky plover, mainly mid-brown above and white below. It has a distinctive black (male) or dark-brown (female) face mask that extends down to cover the neck and throat. A white strip circles the head above the eye. 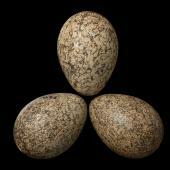 The crown and remaining upperparts are grey-brown mottled with darker brown, and the underparts are white. A broad white wingbar shows in flight. The bill is relatively long and pointed, orange at the base and with a dark tip; the orange more extensive (and usually brighter) in males. The eye-ring is orange-red and the legs orange. 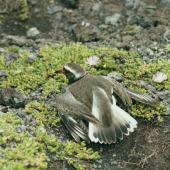 Juveniles are mid-brown above and white below, lack the face mask (although often have a darker smudge around the eye), and have a white forehead and eye-stripe. The dark face mask typically becomes apparent from about 6 months. 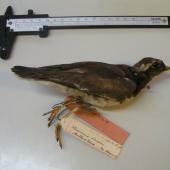 The bill of juveniles is mainly dark with only a small area of dull orange at the base. Voice: the common territorial call is a loud, rapid ringing, somewhat reminiscent of a miniature oystercatcher piping. Contact call between members of a pair is a soft ‘chip’. 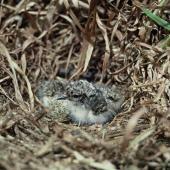 Chicks make a high-pitched and repeated squeaking when in danger, louder and more strident as they get older. 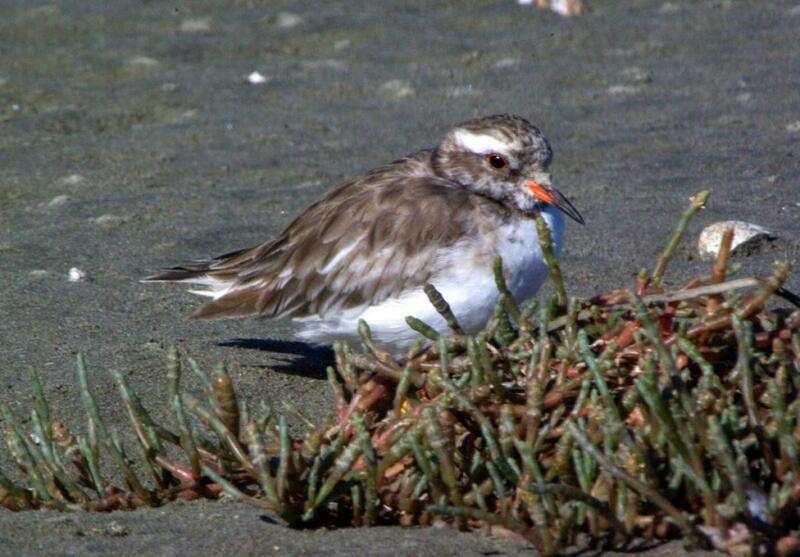 Similar species: adults are unlikely to be mistaken for other species, although it has been suggested that some early records confused turnstones with shore plover. 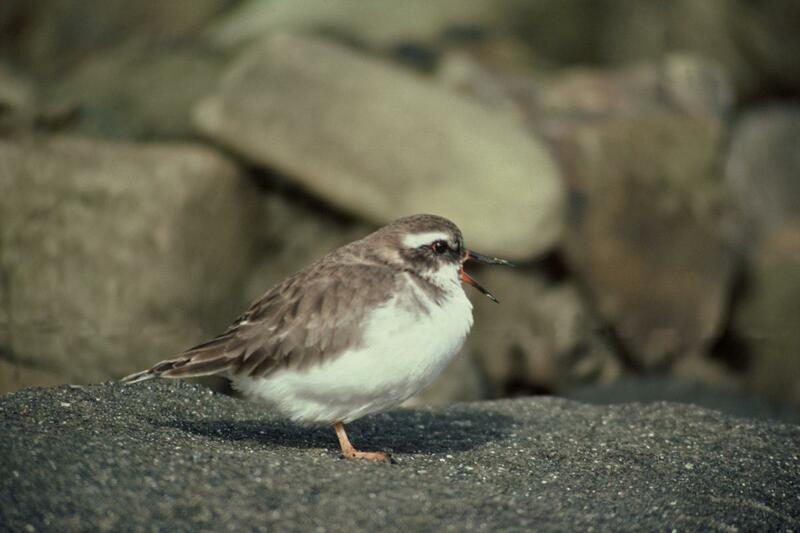 Juveniles could be confused with eclipse or juvenile banded dotterel, but the bill of the shore plover is noticeably longer. 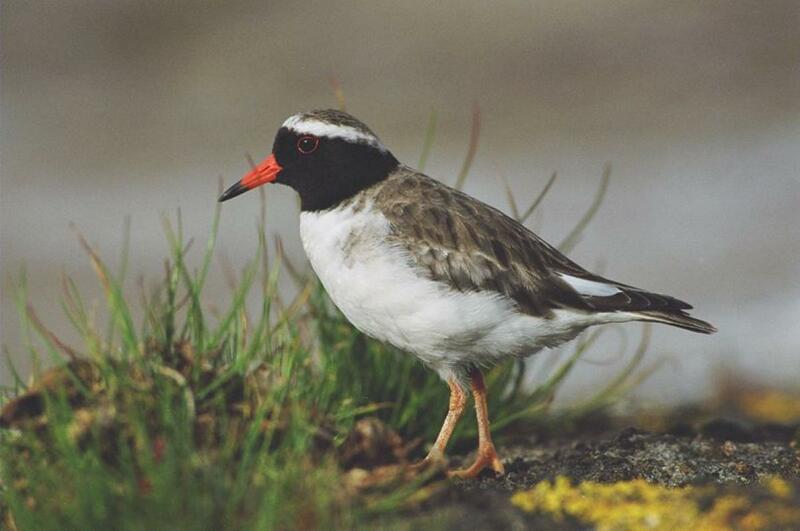 Shore plovers were previously found around the coast of mainland New Zealand, but were extirpated by about the 1870s. They have been confined to the Chatham Islands since then, where their range continued to shrink as predators spread. By about 1900, they were believed confined to a single population on Rangatira (South East) Island. 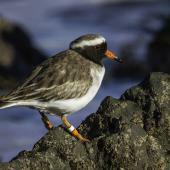 In 1999 however, a small population was discovered on Western Reef, off Chatham Island; that population declined rapidly, and the last bird was taken into captivity in 2003. 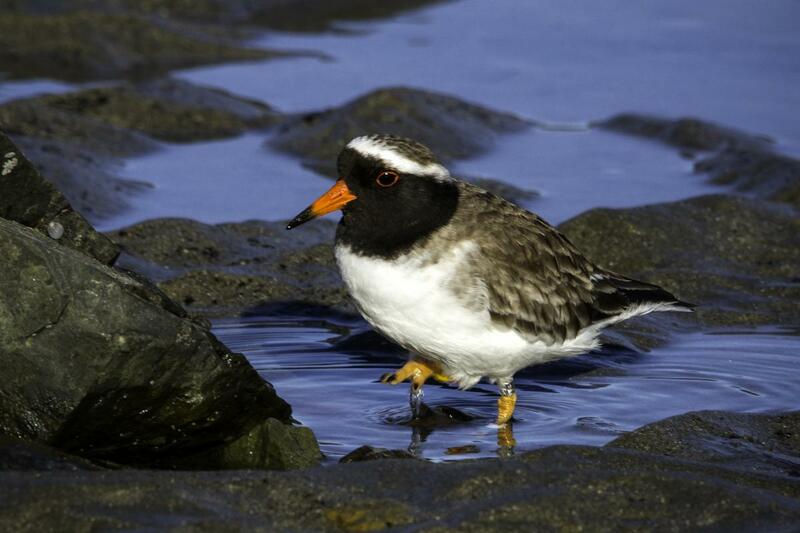 Stragglers regularly reach Pitt Island, and a small population has been re-established on Mangere Island. 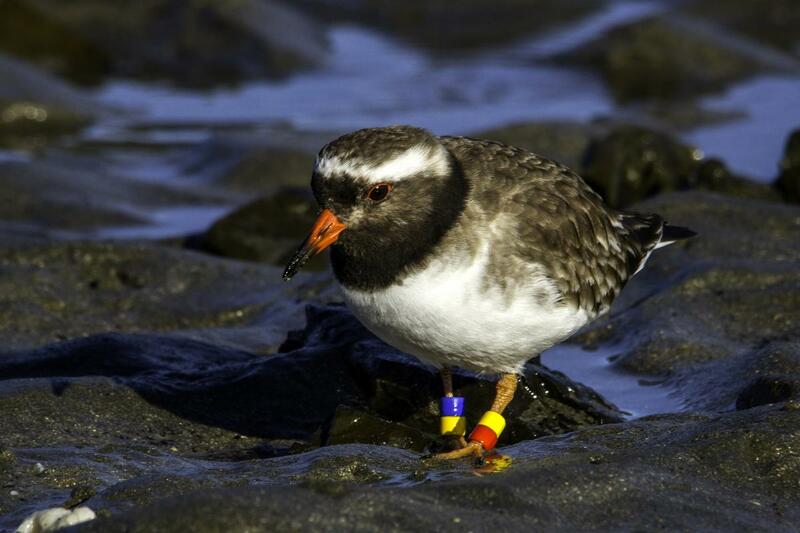 During the past 20 years, captive-bred birds have been released on islands around mainland New Zealand (see below); birds from these releases often wander to nearby mainland areas. 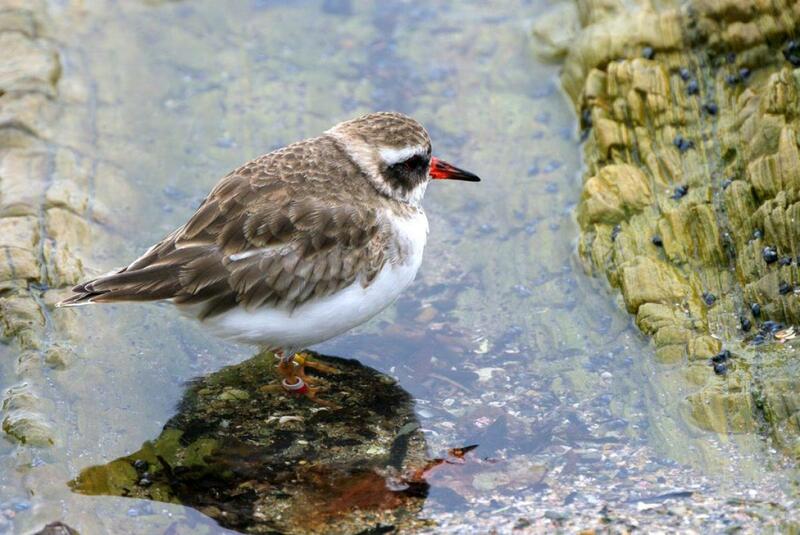 On Rangatira, shore plover forage mainly on the rock platforms that surround much of the island. Most nests are among vegetation and/or boulders at the back of these platforms. Some birds breed on The Clears, an elevated salt-meadow, and some previously bred inland on short pasture when the island was grazed. 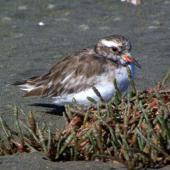 Birds released on other islands have used a wide range of habitat types, including sandy beaches, papa platform, rocky shorelines, shingle beaches, and tidal estuaries. Until the 1990s, the shore plover population consisted of about 50 breeding pairs, with a total post-breeding population averaging about 150 individuals. 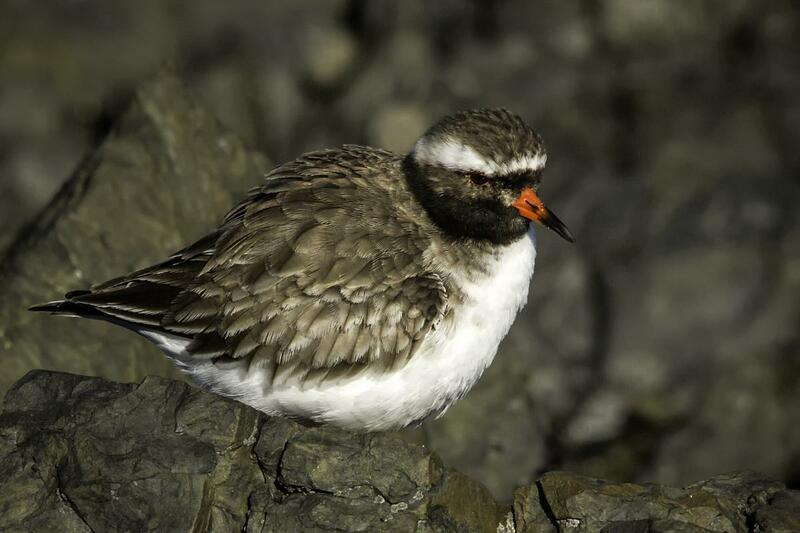 Following translocations, this rose to about 94 pairs in the wild by 2010. However, following predator incursions at two sites, the total wild population had fallen to about 60-65 pairs by early 2013. The captive population contains 6-10 pairs. 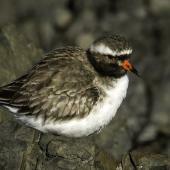 Shore plover are very susceptible to any introduced mammalian predators larger than mice. 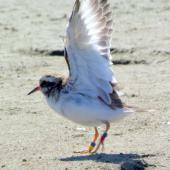 Captive-bred juveniles released on islands are also susceptible to native avian predators (mainly southern black-backed gull, swamp harrier, and morepork). The species was clearly at high risk of extinction while only one self-sustaining population existed. Extensive conservation efforts have aimed at founding additional populations over the past 20+ years. 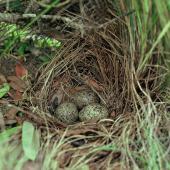 A captive population was founded on the New Zealand mainland in the 1990s using eggs from Rangatira Island; over 500 captive-bred juveniles have since been released on predator-free islands around the New Zealand mainland. 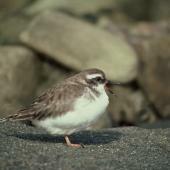 Breeding populations were established on two islands (Waikawa/Portland and Mana Islands), but both had numbers severely reduced by rat incursions, and the Mana population was eventually extirpated. 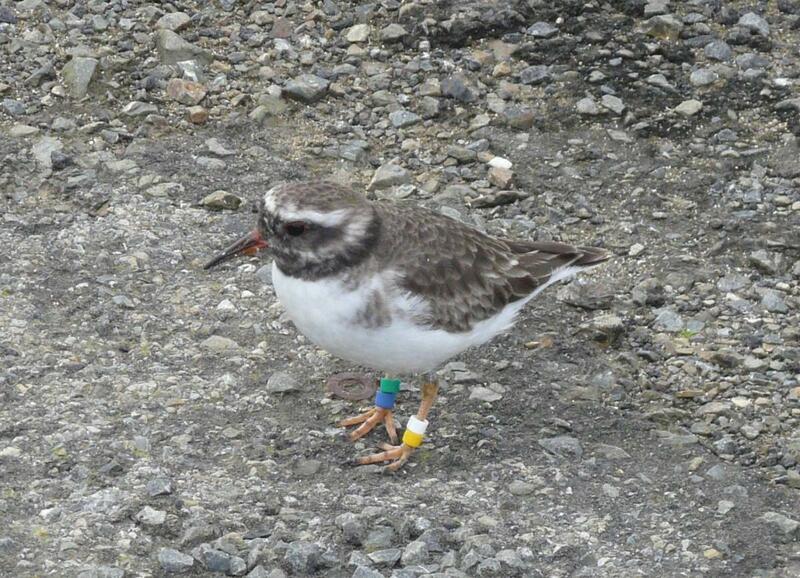 A small population has recently been established on Motutapu Island in the Hauraki Gulf (4 pairs breeding in 2015/16). 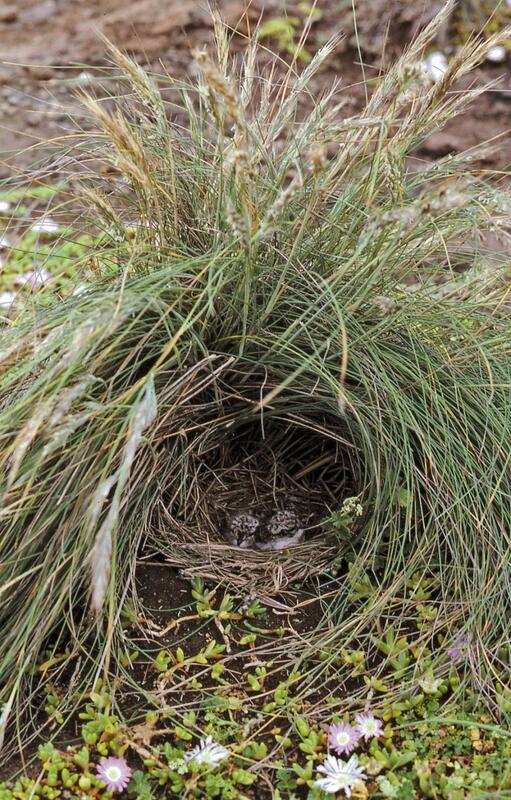 In the Chatham Islands, a small breeding population was established in the early 2000s on Mangere Island by transferring wild-bred juveniles from Rangatira Island. The global population is still very small and vulnerable, and continuing conservation efforts are essential. 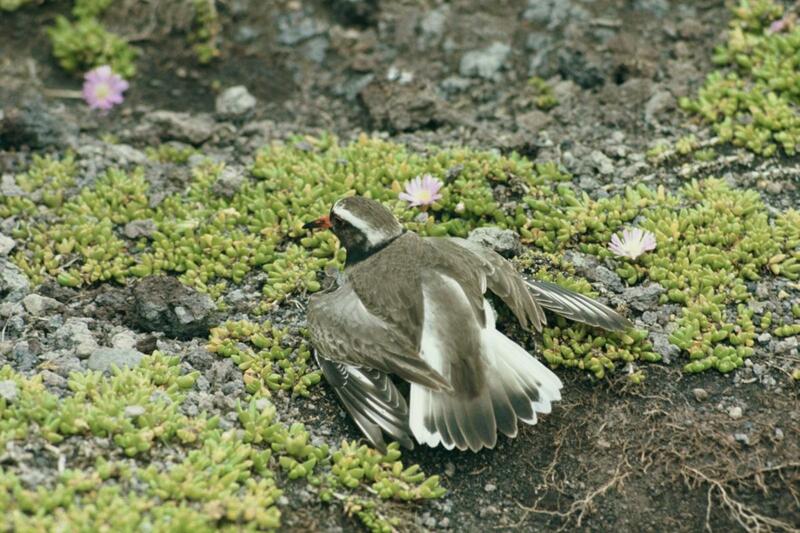 Shore plover breed in monogamous pairs, defending territories vigorously against conspecifics. 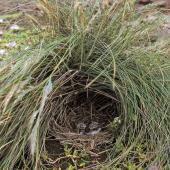 They almost always nest under cover of vegetation, boulders, or driftwood. The normal clutch is 3; most first clutches are laid in October, with replacement clutches laid after loss through to January. 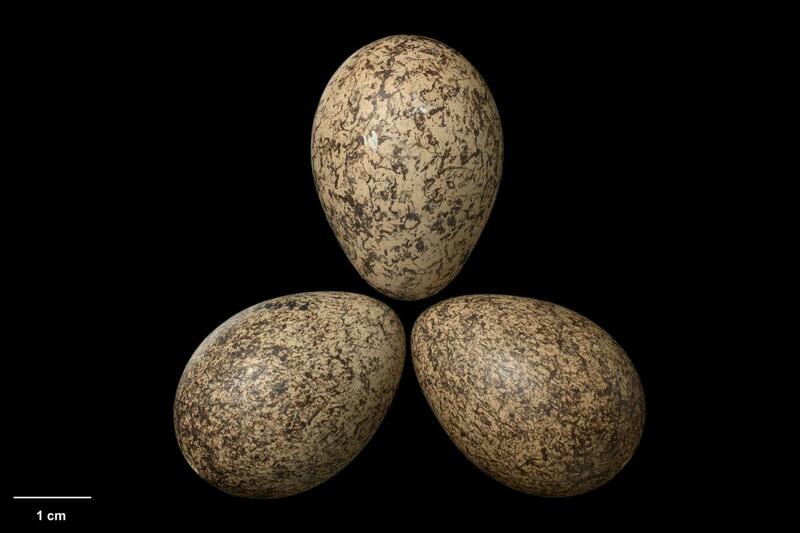 Daytime incubation is shared but mainly by the female; the male takes the night shift. 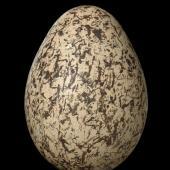 Incubation takes about 28 days. 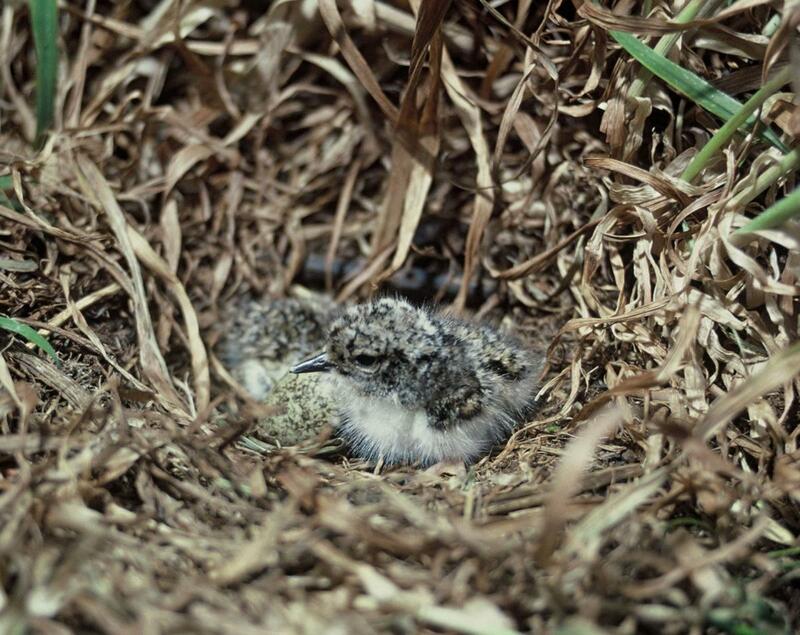 The fledging period is variable (29-63 days), probably depending on food availability; typically 35-45 days. 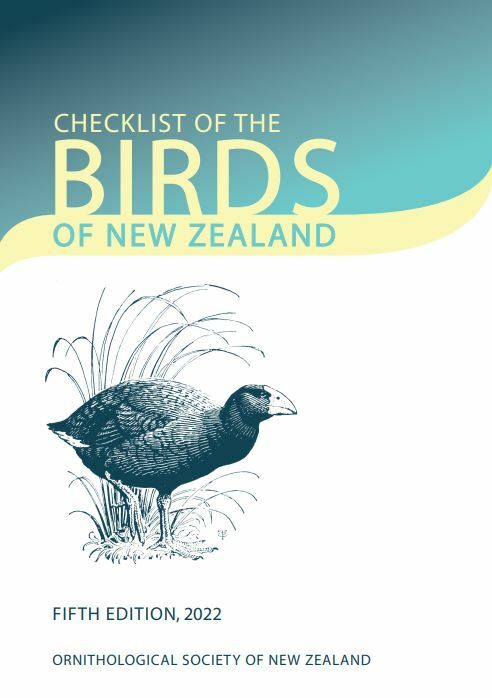 Double-brooding has not been recorded on Rangatira Island, but has occurred at release sites around the mainland. 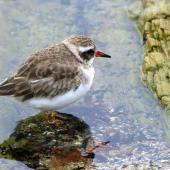 Shore plover normally allow a close approach. They are very territorial while breeding, but may form post-breeding flocks that feed and roost together during autumn and winter. Juveniles often disperse widely, but commonly return to the natal area to breed. On Rangatira Island they usually first breed at 2 or 3 years. 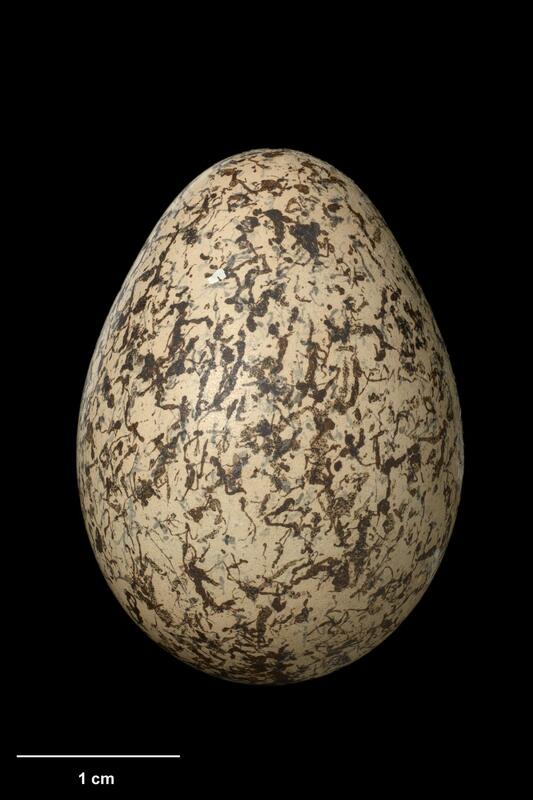 In newly-established populations and in captivity, a few breed at 1 and most at 2. 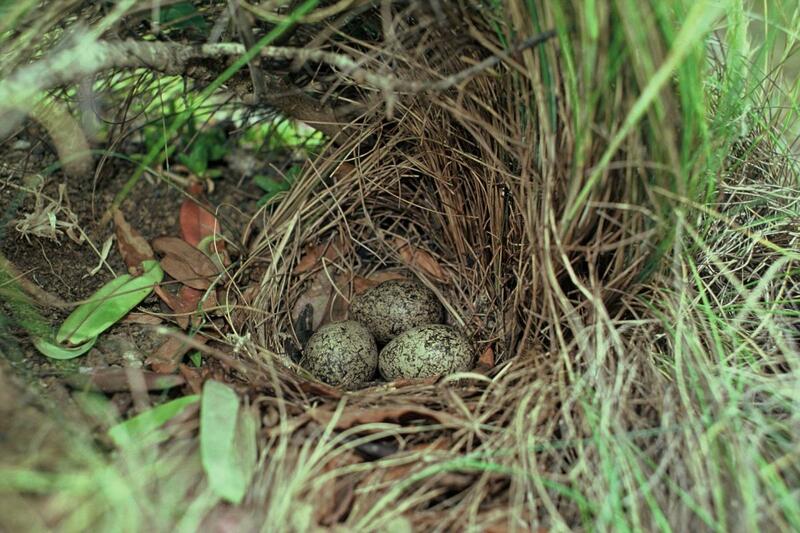 Once established on a territory, site and mate fidelity are high. 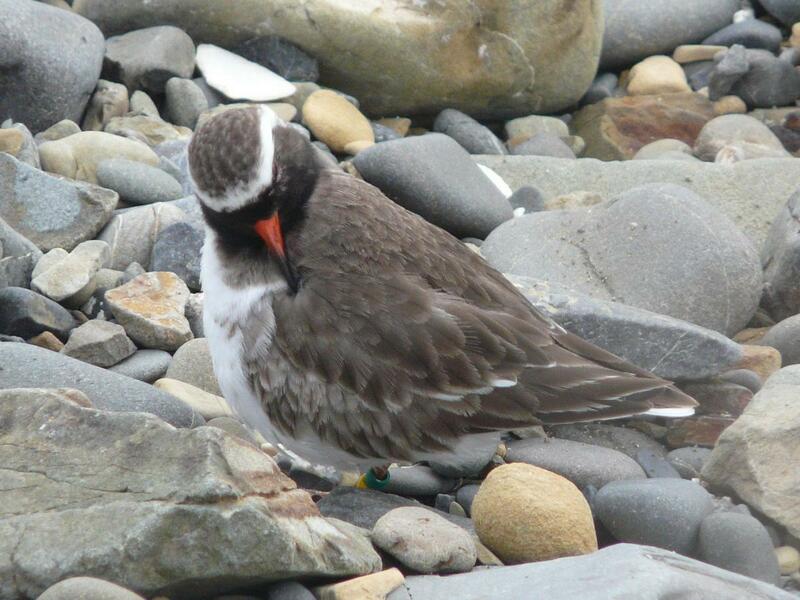 Releases around mainland New Zealand have shown that shore plover are strong fliers – one released on Mana Island was seen at Plimmerton on the nearby mainland, then Lake Ellesmere, then Manawatu Estuary before returning to Plimmerton; minimum distance 850 km in two months. 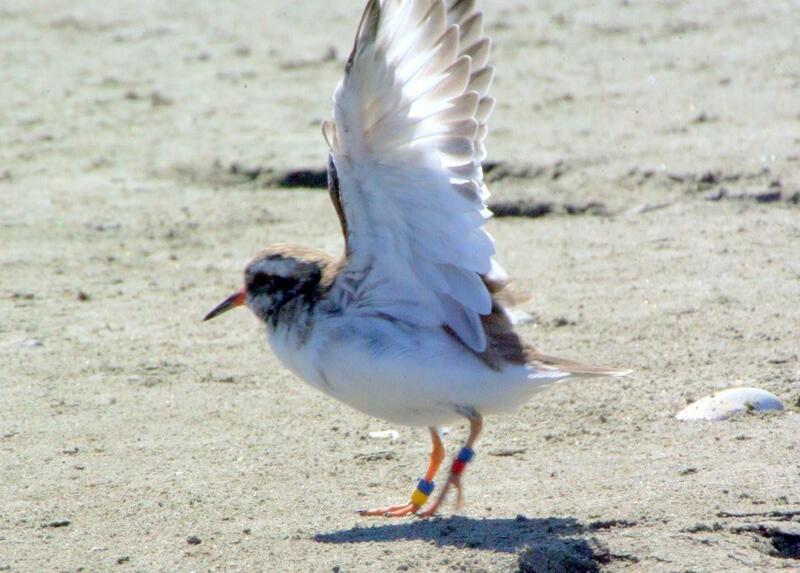 Several birds have returned from release sites to captive institutions where they were reared, 250-385 km. 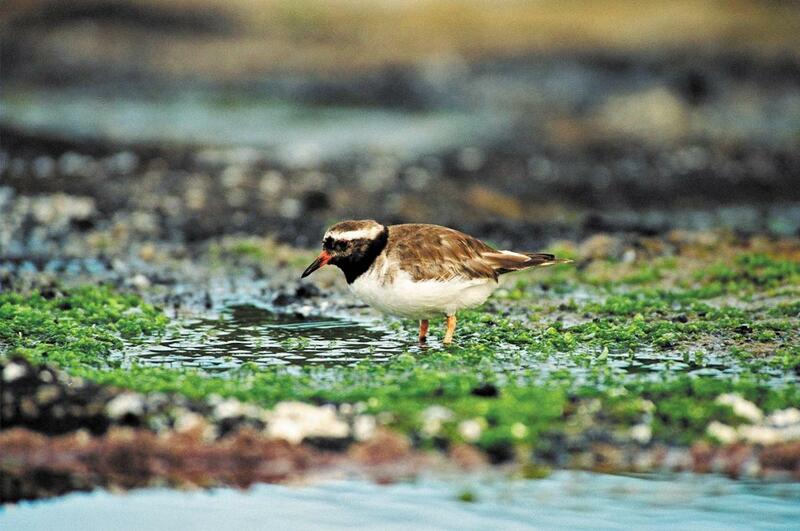 Shore plover consume a wide range of small littoral and terrestrial invertebrates, and occasionally small fish. Davis, A. 1994. 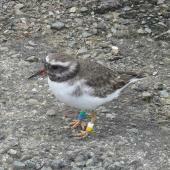 Status, distribution, and population trends of the New Zealand shore plover Thinornis novaeseelandiae. Notornis 41 (supplement): 179-194. Davis, A.M. 1994. 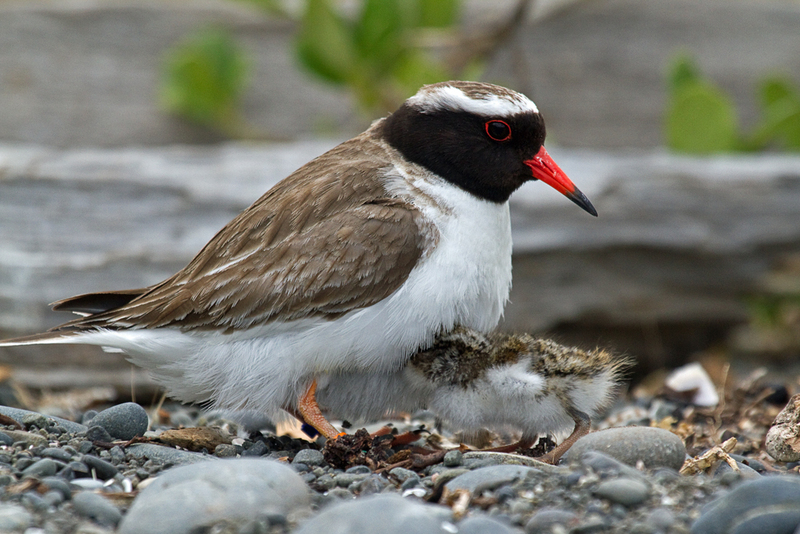 Breeding biology of the New Zealand shore plover Thinornis novaeseelandiae. Notornis 41 (supplement): 195-208. Dowding, J.E. ; Kennedy, E.S. 1993. 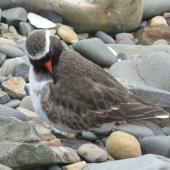 Size, age structure and morphometrics of the shore plover population on South East Island. Notornis 40: 213-222. Dowding, J.E. ; O’Connor, S.M. 2013. 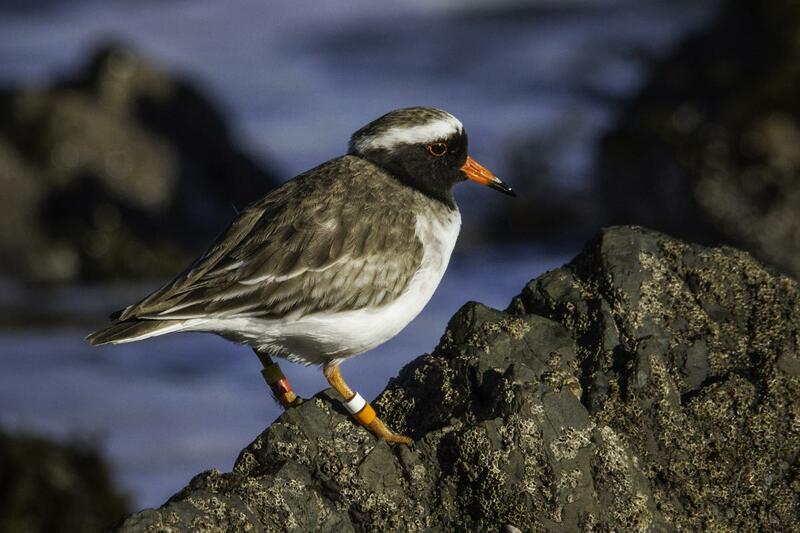 Reducing the risk of extinction of a globally threatened shorebird: translocations of the New Zealand shore plover (Thinornis novaeseelandiae), 1990-2012. Notornis 60: 70-84. Scrape on the ground, may be sparsely lined with vegetation, almost always under cover beneath vegetation, boulders and driftwood. 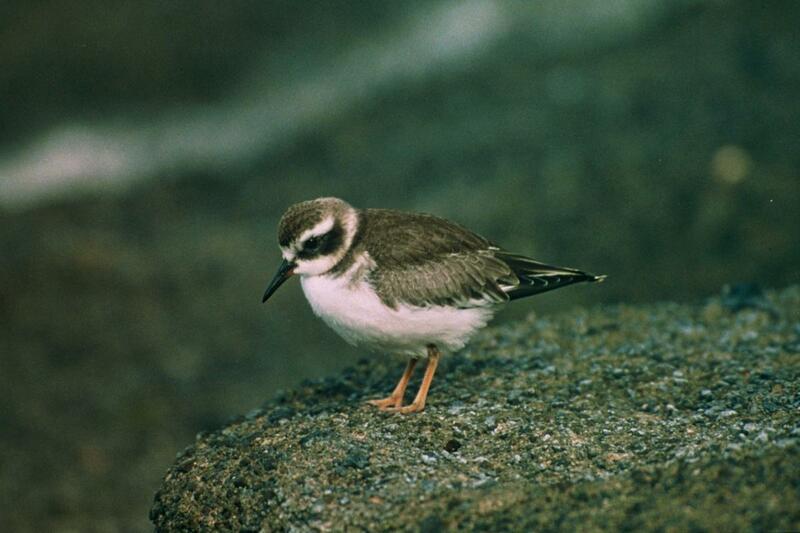 A small stocky plover that is brown above and white below with a distinctive black (male) or dark-brown (female) face mask extending down the neck and throat, a bold white stripe above the eyes, a grey-brown crown mottled with darker brown, and white underparts. The relatively long pointed orange bill has a dark tip, the eye-rings are orange-red and the legs are orange.